Relaunched as part of the Penhaligon's Anthology range in 2009. There are 9 reviews of Gardenia. This is one of those perfumes that says it's gardenia, but is actually tuberose. That being said, it's a fun, pleasant tuberose. It starts with jasmine, hinting at grape sweetness, mixed with creamy, wonderful ylang and heady indoles while the tuberose grows from the background into the star of the show. Unfortunately, this all ends up drying down to a cheap, peachy smudge. The opening is delicious: I get gardenia with some tuberose and jasmine in the top notes, before a beautiful magnolia arrives. On my skin the magnolia forces the gardenia in the background at times, so Magdenia or Gardnolia would have been good names for this scent. Later ylang-ylang and and cinnamon spice aroma lead into the base, and after about four hours it becomes much closer to my skin. After that the vanilla takes on an elegant powdery notes, with waves of white florals, including lily-of-the-valley, occasionally reappearing, just to merge again with the powdery vanilla. Initially silage and projection are quite good, and on my skin the overall longevity is excellent at over nine hours. A splendid, light, elegant floral spring fragrance. Greens and violet and fruity notes and so many florals... It is so crowded that i cannot get much gardenia. ylang ylang and and clower provides a crispiness to the scent which is not common for a white floral and makes an opposite to the real misty gardenia scent. Not a bad scent but not a gardenia scent to my taste. This is a very pretty, feminine floral. The opening is clean and clear, with soft blossoms balanced by a somewhat brisk, green-soapy quality. Gradually the notes deepen and become even softer and rounder -- that crisp edge goes away. The scent still is not too sweet. There are hints of spice. The base develops more power under the intensifying influence of benzoin. There is light musk, but also a kind of aquatic-beachy note. There are many flowers here, blended very well. It is difficult for me, a non-specialist in floral notes, to pick them out. The overall effect is lovely, Not at all my style but I can appreciate it. This is a wonderfully "light" take on the classic scent - the delicate notes of jasmine support the hint of gardenia at the start and it floats along happily light as the rest of the supporting notes evolve. The closest thing I can suggest that does for the lightness of jasmine as this does for gardenia is Serge Lutens A La Nuit. It is as if a blossom has just opened. Most gardenia colognes go for the effect of full heady bloom and can be overpowering, even nauseating in their heaviness. Not so this happy creation by Penhaligon's. There is a hint of gardenia & some greenness, possibly lily of the valley in the opening, & a little tuberose. l get the rhubarb note although l wouldn't have identified it as such without the notes list. lt then becomes a crisp & fresh, but quite generic floral without much sillage, although it is quite long-lasting. There are far better, truer gardenia scents out there than this. 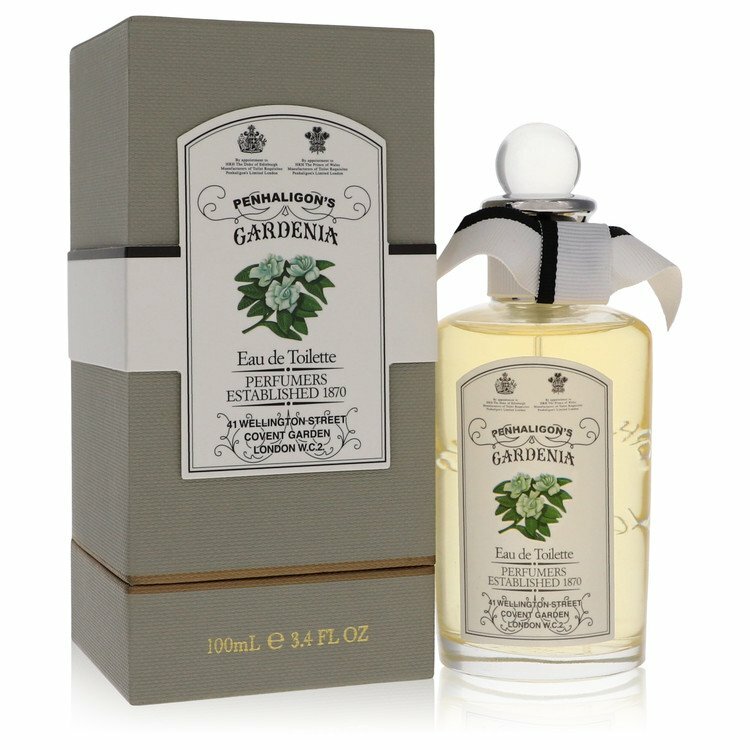 Penhaligon's Gardenia Eau de Toilette, 3.4 fl. oz.